One of the many things that make Oxford magical is its association with writers. Though St.Giles’ street is now a familiar place, every time I pass in front of the Eagle and Child pub, I still find myself thinking of its legendary association with Lewis and Tolkien, and how the writers would meet there on Tuesdays to discuss their work. The most memorable scene in all the books of Narnia, to me, remains the journey to the world between worlds which is described in The Magician’s Nephew. 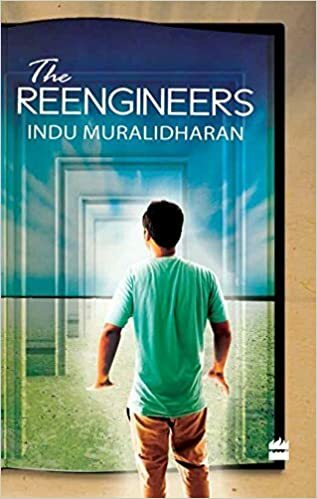 More than one reviewer of The Reengineers has mentioned that the scene in which Chinmay and friends find their way into Conchpore reminds them of the wardrobe in The Chronicles of Narnia. There are any number of fantasy stories in which the characters find a portal to a different world. However the most subtle of these portals is perhaps the world between worlds. A cool, green place where one can almost hear the silence, a place covered with shady trees and full of magical pools, each of which takes one to a different world. It is the perfect metaphor for a library. The scene in The Reengineers was very subtly inspired by this idea, as Chinmay and friends open a door in Uncle RK’s library and find themselves in the old library of the Seeker’s School. When they return, it is from the new library and back to Uncle RK’s study. I had included a paragraph describing as much in Chapter two which was cut out in an early edit, as my editor felt that the transition between the fictional worlds came through clearly and did not need to be spelled out. I still feel the same way whenever I enter a library and sit down in its silence. Be it the British Library, the Old Bodleian or the smaller libraries of my college, or my own little library at home, all of them are equally magical worlds between worlds. Where silence seeps through the mind and calms it down, preparing it for fresh new adventures within the pages. This idea is the greatest gift that I received from Lewis’s writing.